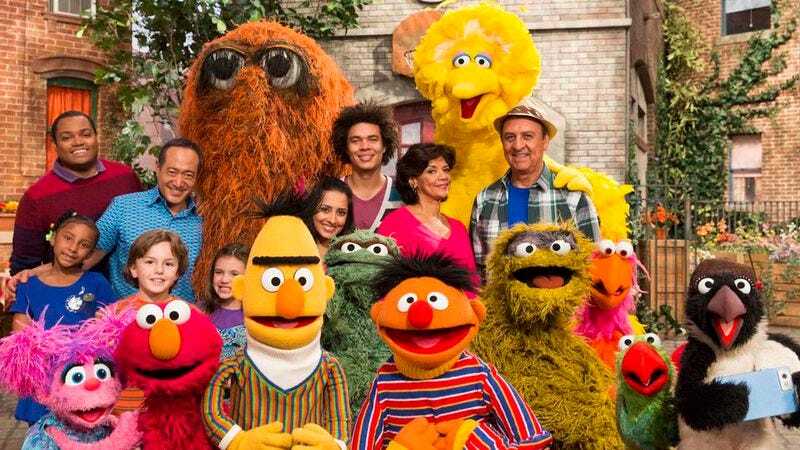 The next five seasons of Sesame Street will be brought to viewers by the letters H, B, and O—the “perfect TV show” will now air on the premium cable network that’s already home to such educational (in that there’s a historical setting) shows as Boardwalk Empire and Deadwood. Sesame Workshop, the educational nonprofit behind the show, issued a press release today announcing the deal, which will see the next five seasons of Sesame Street air on HBO and its multiplex channels, HBO GO, HBO On Demand, and HBO NOW. The episodes will also be made available free of charge to PBS and its affiliates after a nine-month window. New episodes of Sesame Street will begin airing on HBO as early as late this fall. HBO is also getting a Sesame Street Muppet spin-off and a new educational show for kids out of the deal. In case you were worried about how your children would learn about manners without cable service, episodes of Sesame Street will continue to air on PBS member stations as part of the PBS KIDS service. Sesame Workshop CEO Jeffrey D. Dunn said the deal would provide his organization with “the critical funding it needs to be able to continue production of Sesame Street and secure its nonprofit mission of helping kids grow smarter, stronger, and kinder.” Dunn is probably also happy to be free of pledge drives and hitting up the alphabet for corporate sponsorship (for now). Sesame Street is the most important preschool education program in the history of television. We are delighted to be a home for this extraordinary show, helping Sesame Street expand and build its franchise. There’s no telling how much influence Sesame Street’s new neighborhood will have on its format—it could end up running into Avenue Q territory to confront today’s problems. The directions in the theme song could also be revised to include walking past Kavanagh’s or making a stop in King’s Landing. But as far as we’re concerned, the real question is whether or not we’ll see a Fraggle Rock revival.